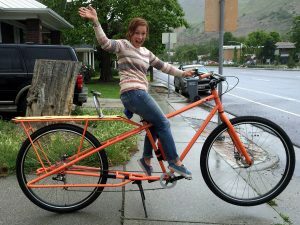 Cotati, CA (April 1, 2019) – Yuba Bikes is excited to introduce the MEGA Mundo cargo bike. With some riders saying the Mundo just isn’t enough with its 440 lbs. of cargo carrying capacity, Yuba is heeding the call. Introducing the MEGA Mundo – double the size, double the fun!